Our latest research examines the social media reach and activity of general insurers across Facebook, Twitter, LinkedIn and YouTube. Social activity frequency (number of tweets/retweets, Facebook and LinkedIn posts, and YouTube videos). 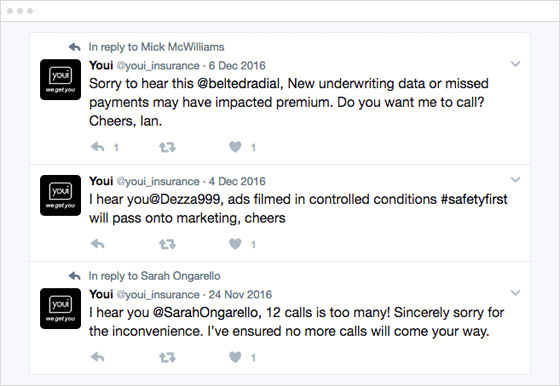 Surprisingly, many of the larger insurance brands are fairly quiet when it comes to social. Facebook is the preferred channel, and all 10 ranked well to moderate in their handling of Facebook content. LinkedIn isn't getting much attention, which is also surprising, as there is an opportunity there. Like most finance sectors, insurance companies have a presence on YouTube but finance content in general tends to exist in a low viewership wasteland on this platform. Twitter is being used quite well by half of the top 10, while the other half have chosen not to utilise the channel at this time. QBE has a strong social program across the board and is most active on Facebook and Twitter. They also boast the largest LinkedIn following of the top 10. Social content is a balanced mix of tips, friendly messages, links to their content hub, Covered , as well as sponsorship, and educational posts. Posting reflects consistent branding and tone of voice and runs to a consistent schedule. Twitter content is similar to Facebook and adheres to best practice regarding images, video posts, and hashtags. LinkedIn is less of a focus with nine posts in three months and comprising mostly corporate affairs content. With YouTube, QBE ranked fourth, posting 11 videos in three months but, as expected, were in line with across-the-board low viewership figures in the 100-200 range. Of note is their series on Australian Housing Outlook 2016 which included animated infographics and high production values. 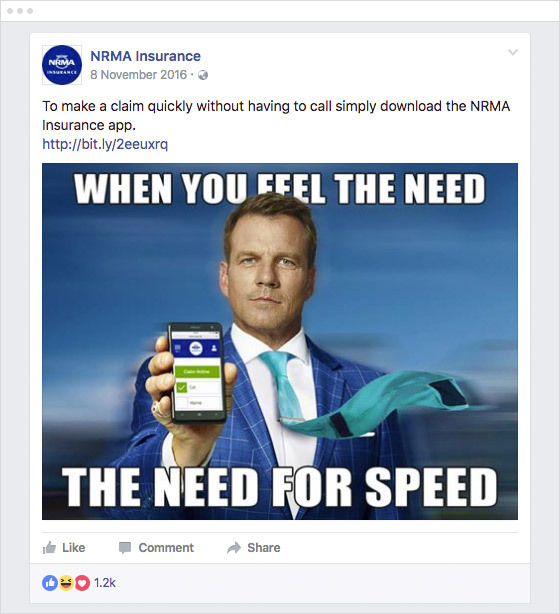 AAMI ranks at number two for Facebook (59 posts) and has the largest Facebook following (124,936) but have opted not to use Twitter or LinkedIn. Customer service gets in front of Facebook comments and enquiries, and content is a nice mix of sponsorship, tips, general interest, and educational material. In spite of a lack of Twitter posts (the company had been posting regularly up to end of September 2016) AAMI has the most Twitter followers. With YouTube, AAMI is quite active, publishing 12 videos in three months and ranking second in this measure. Their five-part short-form series ‘Top 5 Causes of a Crash’ was a standout for high quality production. CGU are the most active insurer on LinkedIn and also have good social activity in general, ranking third on Facebook, and fifth on Twitter. They have the second largest Twitter following (3926) but smallest Facebook following (4,682), with content mostly linking to their content hub, with a smattering of curated, product, conversational, and sponsorship content running in support. CGU are also on top of customer service comments and complaints. Twitter content includes curated tweets from government agencies regarding dangerous weather conditions, and links back to the content hub. They had low activity on YouTube during the three month period. 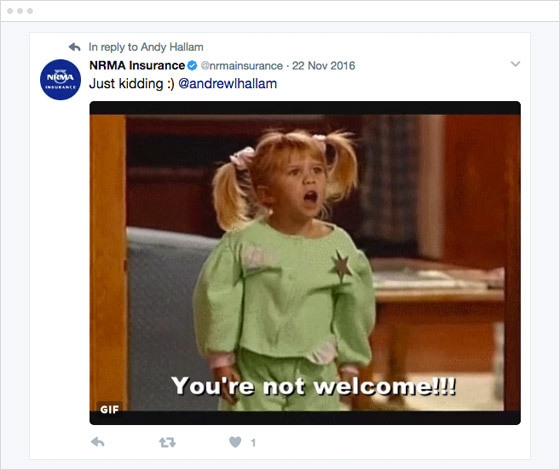 Allianz were the most active insurer across Twitter and LinkedIn, and also have a Facebook presence. The company uses social media mostly to promote corporate affairs and CSR initiatives. They were one of the few brands to run a Facebook competition, but had no YouTube activity over the research period. Even though Suncorp has less Facebook activity than other brands, they ranked at number two for YouTube activity (but again suffered the curse of low subscribers and views). 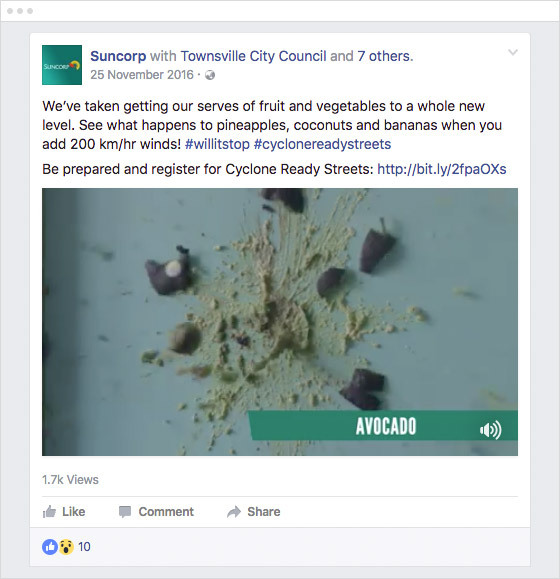 Facebook content anchors mostly around sponsorship, but also offers some unique, original creations such as smashing pineapples at 200kms into house to show the damage a cyclone can do. Twitter content is similar to Facebook, while LinkedIn is mostly corporate affairs. Their YouTube channel boasts high production-value videos but all with low views. Youi rank in the middle of the pack for Facebook and LinkedIn activity, and third for Twitter (which the brand uses for personal and direct customer service) and do not use YouTube at this time. 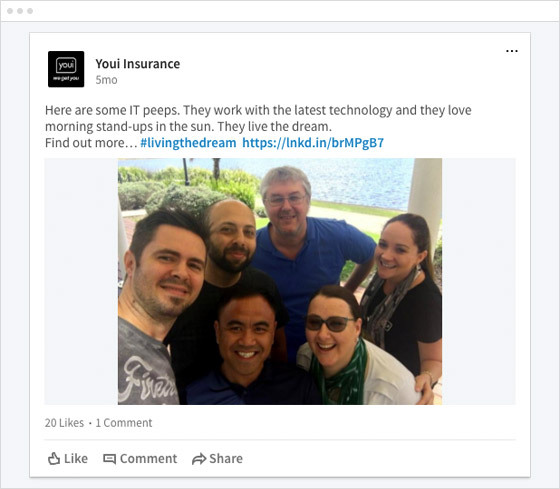 While an obvious strategy doesn’t appear to be in place, Youi’s Facebook is notable for clever content that’s often more light-hearted than other brands, such as 5 Lessons we can Learn from Home Alone's Kevin McCallister. This more relaxed approach also filters across LinkedIn. Budget Direct are predominantly active on Facebook at the moment, placing fourth for activity. The company tweeted eight times during the three months and had no LinkedIn and little YouTube activity. 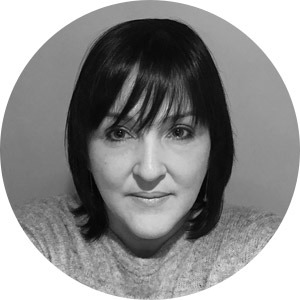 Their Facebook focuses on educational content, competitions, tips, and general interest links to their content hub. Like most brands in the report, their customer service team seems to be answering most comments. GIO were not active on Twitter, LinkedIn or YouTube. On Facebook they posted roughly twice a week, mostly curated posts and links to a small content area. Opting out of social for the time being, APIA had no Twitter, LinkedIn or YouTube activity. Their minimal Facebook activity links to the company’s lifestyle blog.